Wedding Songs for Ceremony & Reception. Wedding Music Fast & Easy! "What Are the Best Wedding Songs?" As a wedding musician, I am asked that "best wedding songs" question quite a bit. And the honest answer is: It depends, because your best wedding songs most likely are not the same as someone else's. Each wedding couple has their own unique style, likes/dislikes, life experiences and so on. Just as brides don't all choose the same wedding gown, bridal couples don't all like the same music. Often though, I find that while some bridal couples know in a general sense what type of music or particular artists they like (and some couples don't have any idea...which is fine...that's where their musician can help), they need help choosing what music is appropriate and where it goes in the scheme of things. I remember the lovely couple that contacted me to supply harp music for their church wedding. It was a second marriage for them both, so they did have some ideas about what they wanted, but they weren't sure what should go where. For them, the music of Disney was a meaningful shared love, so they wanted some incorporated into their ceremony, along with some sacred music. After conferring with the clergy, we wove some appropriate Disney classics in with the sacred songs The Lord's Prayer and Ave Maria, and it was a beautiful ceremony because it fit them! What is your wedding style? Formal or informal? 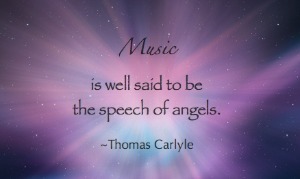 What best describes your musical taste? Traditional or contemporary? Is the tone of your wedding religious or secular or both? Where is the wedding and/or reception going to be held? Indoors or outdoors? Will it be in a House of Worship, a hall, a park gazebo, on a beach or in a barn? What instruments will be available to perform your music or will it be electronically delivered? Will there be any vocal music--either that of the congregants or a soloist? Realize that choosing your wedding songs needn't be a time-consuming hassle (unlike some other aspects of wedding planning!). If you'll take just a few minutes and consider your answers to some of the above questions, you'll have a great start. And, of course, throughout this website, you'll find plenty more information to help you choose the best wedding songs for you. It is a "bare-bones" chart that lists songs via categories and where each category is subdivided into traditional or contemporary. There are built-in song links that will take you directly to a song clip on Amazon. This can help you choose your wedding songs FAST & EASY thus saving you precious time. So go ahead...it's FREE...and there are no opt-in boxes or gimmicks. Just remember that it's a "bare-bones" approach without any additional information. Otherwise, by devoting some time and thought to reviewing the information and tips offered throughout this site, you'll be sure to choose songs that will be perfect for you on one of the most important and glorious days of your life! So take your time, think about, and enjoy the process of choosing your music. Yikes! At least plan a little better than that!